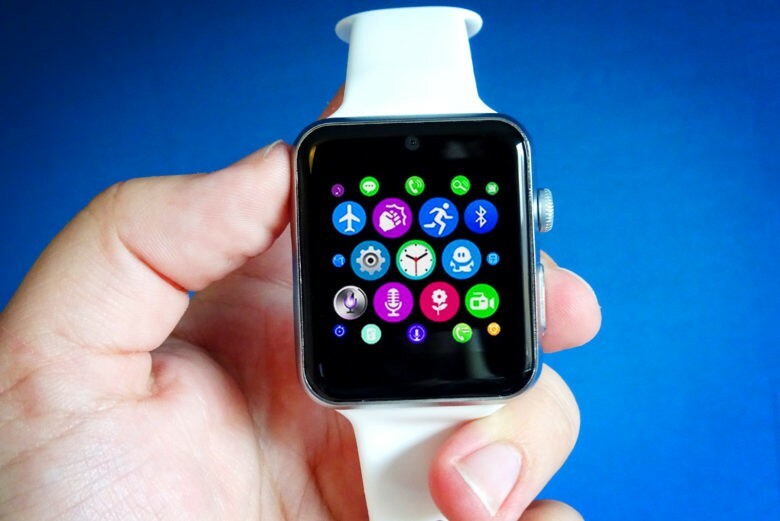 Chinese Apple Watch clone costs just $63, but is it any good? Has time run out for more expensive smartwatches? The Apple Watch is one of the more affordable devices Apple makes. But a lot of people are still understandably hesitant about shelling out a few hundred bucks on a first-generation gadget they’re not sure they need. The main reason to buy the LF07 is, of course, the price. But is it any good? After all, it’s only a deal if this is a smartwatch you’ll actually be happy to wear for a while. Perhaps surprisingly, the answer is not a resounding no. It may even be a yes. The Lemfo watch looks like the Apple Watch, which at the very least will give on-the-fence Apple Watch buyers a chance to try out the form factor. More importantly, the Chinese Apple Watch clone offers a range of functions that mimic the real thing, including messaging, phone calls, fitness tracking, a calculator and a Siri connection. It even features a couple of neat innovations Apple hasn’t gotten around to including yet, such as a built-in camera (granted, it’s not a great one), optional tile-based UI, and smartphone independence, thanks to the ability to insert a SIM card and run it as a full-fledged phone. Don’t get us wrong: The LF07 doesn’t compete with the Apple Watch in a straight head-to-head battle. It is, after all, a low-end clone of the device. Its best features are approximations of Apple’s own. Maybe the best way to think of the LF07 is as a tribute band version of the Apple Watch. Is it the same as seeing the real group live? Of course not. Is it a whole lot better than the excruciating karaoke act it could be? Most definitely. The best thing we can say is that if you’ve been indecisive about splashing out $300 or more on Apple’s first-gen wearable, the LF07 is a great, low-cost alternative to experience a smartwatch for the first time. For that, we’ll give it a solid thumbs up. Make sure to subscribe to Cult of Mac’s YouTube page to see the latest videos as soon as they’re released. Cult of Mac received review units for this roundup. Read Cult of Mac’s reviews policy.